Fit Fluential Mom: Great Way to Shop AND Save Online! I recently discovered and AWESOME website!! If you do most of your shopping online, as most moms & dads do since there's little time to do much with kids, then this is great for you!!! 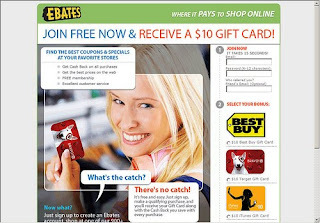 Ebates PAYS you to shop online in the form of an annual rebate. All you have to do is go EBATES. Sign up for an account with them. 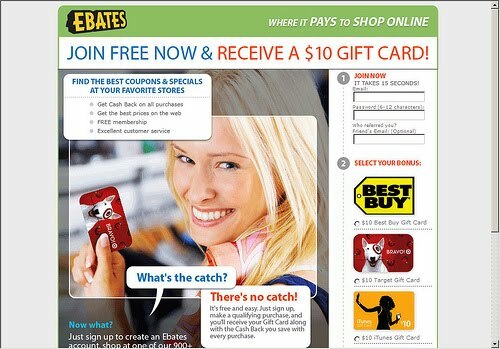 Then, anytime you want to purchase anything online, you just go to EBATES first and then search for the online store you want to purchase from. The site will then redirect you to the online store. It gives you a rebate of anywhere from 1-15% of the purchase price!! For example, I needed to place an order with diapers.com this morning. I went to EBATES and logged in. I then did a search for diapers.com and it brought up their current rebate percent and a link to their website. I clicked on the link and it's as if I had originally just gone directly to diapers.com. I placed my order for a total of $51.45 (jumbo box of 180 Luvs diapers, Happy Bellies Oatmeal Cereal, Munchkin Snack Trap and 4 Straw sippy cups.... All for only $51.45 and FREE shipping!!)... The ebates rebate for diapers.com was 2% so I got a rebate of $1.07. It doesn't sound like much but, if you add up all of the online purchases you make in a year, you could end up getting a check in the hundreds like we did last year!! Check it out! Get paid to shop online! Here's some of my current spending history and upcoming rebates!